IDM 6.23 with Patch (32 & 64 Bit) !! I've managed a new patch for IDM 6.23. And I've two separate patches for 32 bit and 64 bit version of IDM. If you're fed up with this message - Internet Download Manager has been registered with a fake Serial Number, then you can use this activator to get rid of this love message! Before starting the operation, make sure you've IDM installed on your system. Or download the IDM from the link below. And install it properly. Also ensure your windows type - 32 bit or 64? Download the file from any of the above link. Then install IDM 6.23 on your PC. Activate your IDM . . .
Find the patch from the zipped folder - 32 bit or 64 bit. Now double click on the file named - 32 Bit Patch.exe or 64 Bit Patch.exe to run the patch. Make sure your destination folder is okay - C Drive > Program Files > IDM > Press Install > Finish. That's it. You're now ready to use IDM without hassle. Don't update the IDM. Otherwise the patch may not work. This Tools Ensures Some Advantages . . .
You can run this patch while your IDM is running. Don't need to close it. This patch even works with an IDM which has been installed with fake serial key. This patch comes without any adware or malware. We've tested this tool in our system. First we've installed IDM on a PC. Then we've cracked this via an activator. Few hours later, we've got that irritating message - registered with fake serial number. Then IDM has been removed from that PC completely. That fake activator has also been removed properly. Then we reinstalled IDM on the same PC. Again we got that message - registered with fake serial number. In this situation, we've used the above patch and it worked fine. It's been a few days and we haven't detected any such irritating message yet. 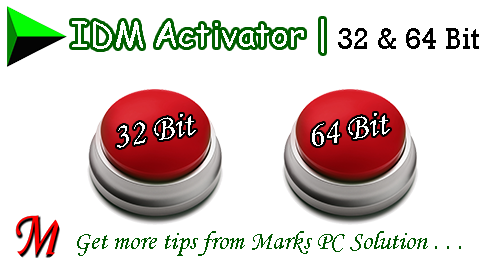 We will suggest you use this activator and inform us how it works. Please comment . 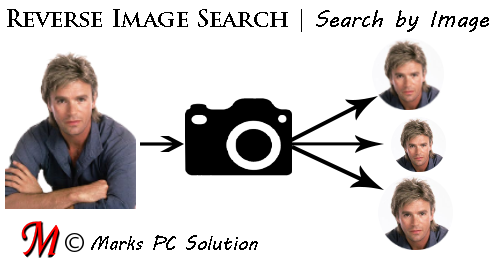 . .
With Clipping Mask you can use an image to fill up an object or text. To be more specific, your text or object will take the color of the image from which you wanna create the mask. Clipping mask is a great tool to surprise your friends. Let's try it now . . . Applies to - All running versions of Adobe Illustrator. Note: I've used Adobe Illustrator CS6 to prepare this tutorial. 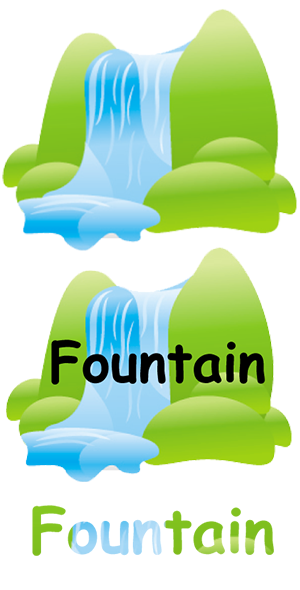 First stage, there is only a fountain. Second stage, fountain with the text. Final stage, text with the mask of fountain. Now I hope you've realized the charisma of Clipping Mask! It's a very simple tool. Very easy to apply. Yet it's quite impressive for those who are not familiar with this tool! Creating Clipping Mask . 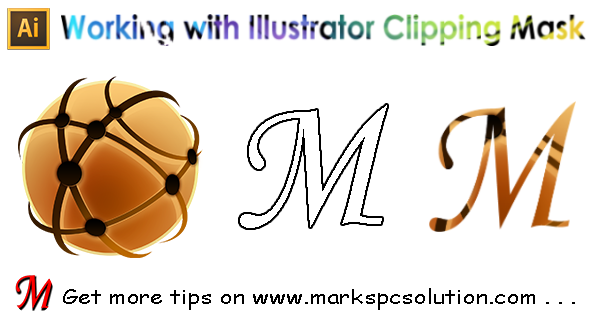 . .
Open up Adobe Illustrator from your PC. Now create a new document and place an image there. Or you can directly open your desired image. Type over that image. Or create an object over the image. Place your image or object in a proper position. Using direct selection tool, select both the image and the text or object you've placed over it. 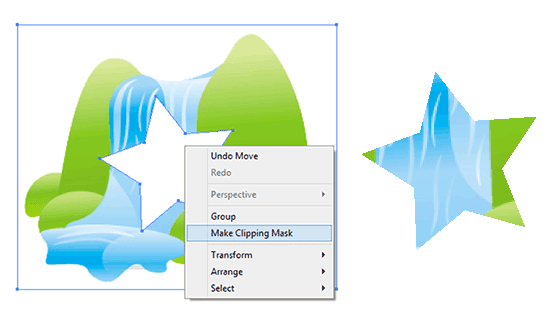 Now click right mouse button > choose Make Clipping Mask. See the magic! Look at the above image. Here I've placed a star over the fountain. Then I've used Clipping Mask. Finally, the star got the color of the fountain. Area outside of the start has been disappeared. Look at the final example - I think it's more impressive! This may be a new term for you but many of you are currently using this technology! Most people know this term as - Search by Image. What we call search by image is originally known as Reverse Image Search. 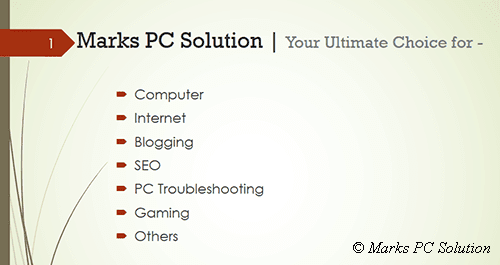 There are several sites which provide this service. But in terms of speed, reliability and user friendliness I prefer Google Image Search. Normally we search something through texts. But reverse image search technology can take pictures/ images as input. And it displays related images as the result. When searching by the picture of a well known person, you will get many other information along with the similar images. 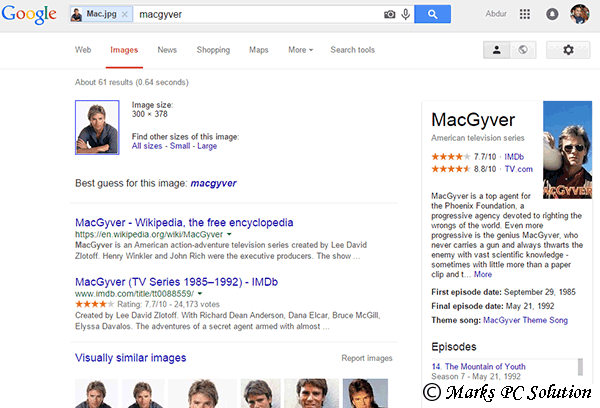 Search by image works best when you search an image which is famous and available in different sites. That means your personal photo or latest party photos have hardly any chance to appear in the search result. You can use this feature from any desktop browser (Chrome, Firefox, IE, Safari, Opera). 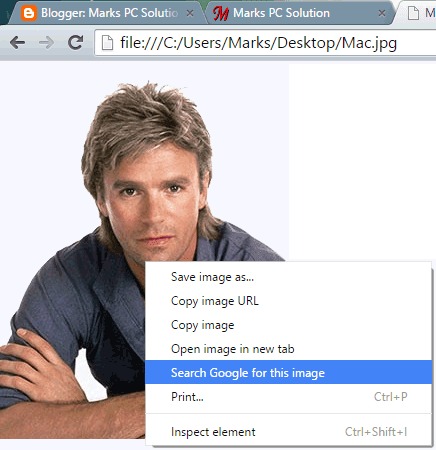 But Google Chrome (And Firefox also) has some built in options to use search by image feature. So, I hope, all of you are using the updated version of Google Chrome. Hit on the Camera Icon that appears in the search box. You will have two options: 1. Paste an image URL from web and press Enter 2. Upload an image > Choose File > Select a File from your Storage. Visit Google Images > Keep your browser window restored down. Locate the photo from hard disk > Click on it and hold down the mouse. Drag the image into the search box and release it. Let Google find out the details . . .
Open a new tab on your chrome browser. Press Ctrl+O > Locate, select and open your desired image from hard disk. It will do the same job as it did when you upload an image! Suppose you've visited Microsoft or Apple or any other website. There you've got the image of any device. If you wanna search it in Google, simply click right on it. Choose search Google for this image. A new tab will be opened with the search result. Look at the search result. What does it include? The file name, extension and a small icon of the uploaded image. May I have your attention please? This tutorial is based on Google Chrome! 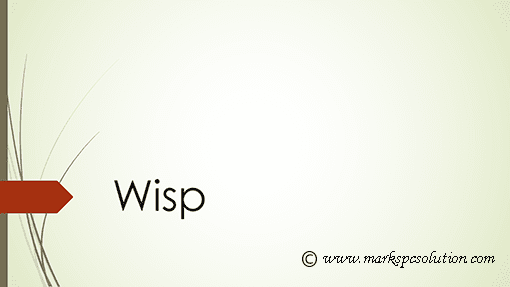 In this post, I'm just introducing a theme with you - Wisp! This is a superb theme that comes with PowerPoint 2013. I'm gonna share this with you so that you can use it with other versions of PowerPoint. 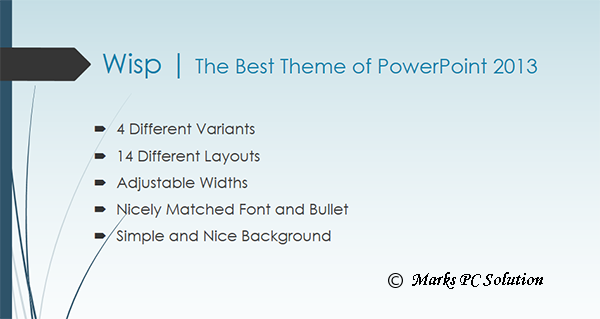 In my eyes, Wisp is the most beautiful theme I've ever seen in PowerPoint. It's very light and great for designing any kind of slides - business, education or home. With green gradient background and red accent, it can win the heart of your audience! Just few days ago, I had a presentation in my class. I was searching for a nice theme. And I discovered this. During the presentation, everybody was just looking at the slides. At one end, they were amazed by the theme, on the other end, they were also amazed by the beautiful combination of transitions and design. If you're using Office 2013, then you will get wisp theme by default. But if you're using any older version, then you will not get this. But you can download and use it. Download > Install > Use . . .
Download the Wisp theme from this link. It's in zipped condition. Unzip it first. Find the file named Wisp.thmx and copy it to the following location - C Drive > Program Files > Microsoft Office > Document Themes. Now run PowerPoint > Go to Design > Get Wisp in the Theme list > Choose it to create slides. If you simply double click on Wisp (which is saved anywhere) then it will opened from there. But to get this automatically in PowerPoint Theme list, you need to copy the theme in the above mentioned location. Wisp is a customizable theme. There are some variants of this theme. You can also customize the background color. By default, you will get Century Gothic font which is nicely matched with the theme. Hope this will help you. If you have any problem while preparing slide, please knock me . . . When you are delivering a formal lecture or presentation through PowerPoint slides, numbering the slides are very important. It helps you operate the slides in proper order and ensures you're not skipping or repeating something. And during the presentation, if you need to go back to a particular slide, slide numbers then are of great importance! And after the presentation, audience may ask you question regarding a particular slide. If you have serial numbers on the slides, you can easily find out the right slide to defense your answer. 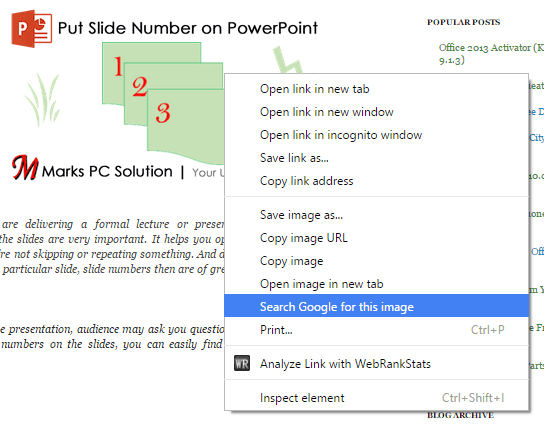 Run PowerPoint from your PC. Open a previously generated presentation or create a new one. Go to the Insert tab > Move to the Header & Footer option under Section area. Choose Apply to All. That's it! Now the slide number will be added in a suitable position. If your theme has a special location for slide number, then it will be automatically added there. Look at the upper left corner. The dark red are with the number 1. This is the location of slide number in wisp theme. You will find this feature in some other themes too. And the themes which don't have such location, the slide number will be added to the bottom right corner. 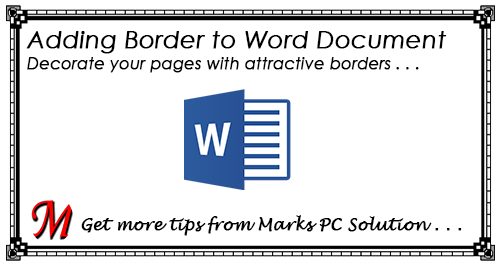 Adding Border to Word Document . . .
To decorate your word document, you can put border around the page. You can put the border either in the first page, section or whole document. Not everywhere page border is applicable. Only use it where necessary. After getting the Borders & Shading dialogue box, things are almost similar! Note: Images, screenshots and instructions used in this document are based on Office 2013. With page borders, you can create stylish borders around your pages. 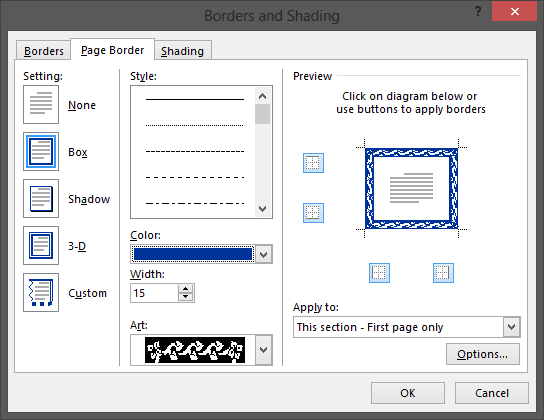 MS Word allows you to create normal borders as well as many stylish borders. And you have the option to adjust the thickness, size, distance from the text, and color of the border. Open an existing word document or create a new one. Go to the Design tab and find Page Borders option from the right. Hit on the Page Borders to get Borders and Shading window. Make sure Page Border tab is selected. Choose either Box or Shadow from located under Settings > Choose a border style > Change Color if necessary > You can also choose stylish border from the drop down list of Art option > Adjust the width > Choose Apply to - Whole Document/ Section/ First page only > Then hit OK. If everything is okay, you will get your selected border/ art border around your page. Color - You can only change the color of black borders. 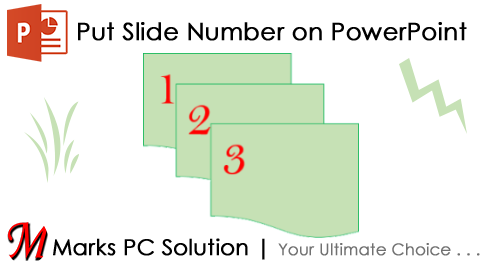 Width - Art borders have different widths - 20 to 31 pt. I don't prefer more than 10 pt. Preview - You can remove the border from any of the side. If you click on left, the left border will be removed. If you hit on bottom, the bottom border will be removed. Clicking again will take the border back. Apply to - Choose whether the border will be applied to Whole Document/ First page/ current section. Option > Measure from - Edge of page will put the border at the edge of page. Text will bring the border closer to your text. You can also manually adjust the values from margin. I think you should choose 5 pt for every sides. After you complete these tasks hit OK > OK. Section helps you to differentiate some settings from other part of your document. Suppose you need page border for first 5 pages of your document. To do this, you need a section break. Otherwise the border will be added to the whole document. If your document has no section, then you have to create one. Suppose your first section will include the first 5 pages. From the 6th page, you want the next section. Page Layout Tab > Page Setup Section > Breaks > Section Breaks > Next Page > To check the section, double click on header or footer. Now you can use different settings for different sections. And you can create as many sections as you need. Under the Settings, choose None > hit Enter/ OK > Everything will be clear! Hopefully it's a complete tutorial on MS Word Page Border. If you're having any sort of problem regarding this issue, please knock me . . .